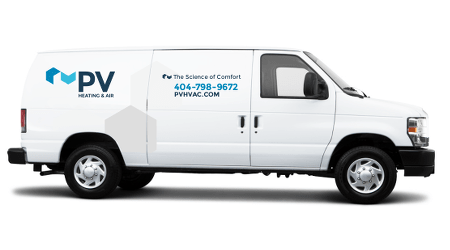 From Perimeter Mall to Winters Chapel Road, PV delivers top-notch air conditioning, heating, and home performance services across Dunwoody. Whether it’s time for a tuneup or you’re wondering why your energy bills are so high, our team can diagnose your every HVAC problem. We can fix them, too. Does PV work OTP? You bet we do. Variable speed HVAC system installation on Framons Ct. Complete heat pump system installation on Huntington Cir. Rigorous analysis and informed recommendations: Proper equipment sizing, meticulous ductwork design, data-based home performance testing… Our team gets it right the first time. 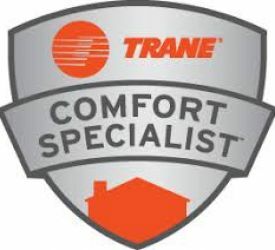 Finding the source of your HVAC problems: Having trouble staying comfortable? We analyze your home to find the root of the problem – no band-aid solutions here! 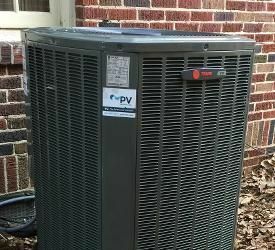 Regular inspections with affordable fixes: Our service agreements cover bi-annual, top-to-bottom HVAC inspections and tuneups. Parts discounts, too! With building science creds and rigorous training, we're Dunwoody's premier HVAC choice. Your home deserves the best. That’s why our team completes over 125 hours of training each year – so you get the smartest, most seasoned HVAC service available in metro Atlanta! Comfortable environments. Efficient heating and AC. Healthy air. That’s what we deliver to Dunwoody homeowners. And did we mention our headquarters is right down the road? We’ll be cruising past Crowne Plaza before you can blink. Alright, Dunwoody. Let’s fix those pesky HVAC issues.